New research revealing the welfare priorities of the UK's 800,000 equines will be outlined at an event at the House of Commons on Tuesday 12 July. 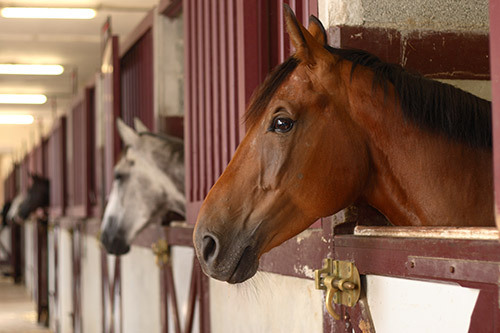 The four-year research study, led by academics at the University of Bristol's School of Veterinary Sciences and funded by World Horse Welfare, aimed to understand the welfare status of horses in England and Wales, identify priority welfare issues and explore horse owner and industry experts' perceptions of these issues. Stakeholders from across the equine industry contributed to the research: from vets to farriers and welfare charities to governing body representatives, participants represented a wide-reaching cross section of horse care roles and responsibilities. Together with providing an in-depth insight to the welfare challenges faced by the UK's equines, the research will also make recommendations based on the findings to support improvements in welfare across the country. "Basing our work on evidence as well as our experience is central to our whole approach, which is why this research is so important. It will provide a vital insight into the diverse welfare challenges facing the UK's equines – setting out the welfare 'landscape' from many aspects of the equine sector. World Horse Welfare (Registered charity no: 206658 and SC038384), is an international horse charity that improves the lives of horses in the UK and worldwide through education, campaigning and hands-on care of horses. Since we were founded in 1927, our whole approach has been practical, based on scientific evidence and our extensive experience, and focused on delivering lasting change across the full spectrum of the horse world. In the UK our dedicated network of Field Officers investigate and resolve welfare problems, and we run four Rescue and Rehoming Centres where horses in need can receive specialist care, undergo rehabilitation and find loving new homes through our rehoming scheme – the largest of its kind in the UK. Our international programmes alleviate the suffering of thousands of working horses by providing essential knowledge for horse owning communities in the developing world. We also work tirelessly to change legislation and attitudes to horse welfare through campaigns and education, including our founding campaign to end the suffering endured by the tens of thousands of horses transported long-distance across Europe to slaughter each year. We support the responsible use of horses in sport, and are independent welfare advisers to the Fédération Equestre Internationale (FEI) and British Horseracing Authority (BHA).